So let it be written so let it be done! We’re back with a second summer show, as how can you really let news like this go by without talking about it? That’s right folks! He’s coming back! Your fearless leader, the blonde Adonis, the Golden Gawd is coming back for at least one more season (or eight more depending on which Call-Up you ask). 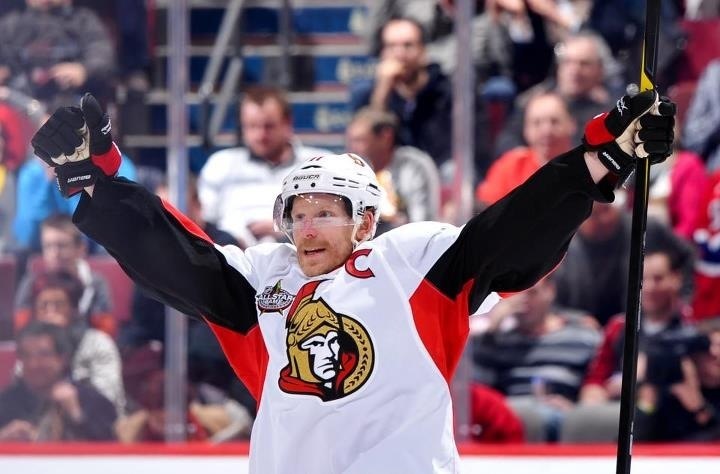 Driven by leadership, the love of the game, the team and the city, the NHL's current longest serving captain will be back in a Sens uniform at season’s start, plus this happens without a contract extension or more money being thrown at him. That’s the definition of leadership right there. We also touch on the future of leadership beyond Alfie and the drastic change from previous years with now having a clog up on offence while shockingly looking thin on the blue line and try to fill these spots with the prospects that are coming up. Around the league there has been some noise with Nash finally moving to the Rangers, Nashville getting their hands tied with an offer sheet and we talk about other big names on the move. All of this is of course dependent on the CBA being finalized in time for hockey to start. Pan gets heated over recent Tim Thomas comments and Kardinal goes a little Whiskey Tango Foxtrot on the topic of the Raffi Torres suspension and appeal. We read our first e-mail from a long time groundhog and launch our very first SCU contest. We’re looking forward to the start of training camp and pre-season and hope to hear from you soon via e-mail, the forums or twitter.